Adam Stewart is a Vice President at Proprium Capital Partners, L.P., where he focuses predominantly on investor reporting, investment valuations, portfolio business planning, and other fund operations. Adam has eight years of private equity portfolio management, finance, and capital market experience. Prior to joining Proprium, Adam was a Profit Plan Supervisor at the United Parcel Service (UPS), where he worked in UPS’ Corporate Finance and Accounting department. Adam’s core focus at UPS was on corporate forecasting and business planning, where he evaluated future earnings potential, cash flow projections, and capital expenditures globally. Adam’s team was responsible for projecting earnings guidance for investors, providing profitability expectations for senior management and monitoring expenses to ensure a healthy profit margin for the business. Additionally, Adam was heavily involved in financial reporting at both the corporate level and for the US Domestic Small Package business unit. 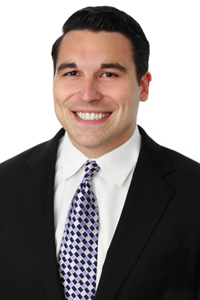 Adam graduated from the University of Georgia with a BBA in Real Estate Investments and an MBA with an emphasis on Real Estate and Financial Investments.